Welcome Home! 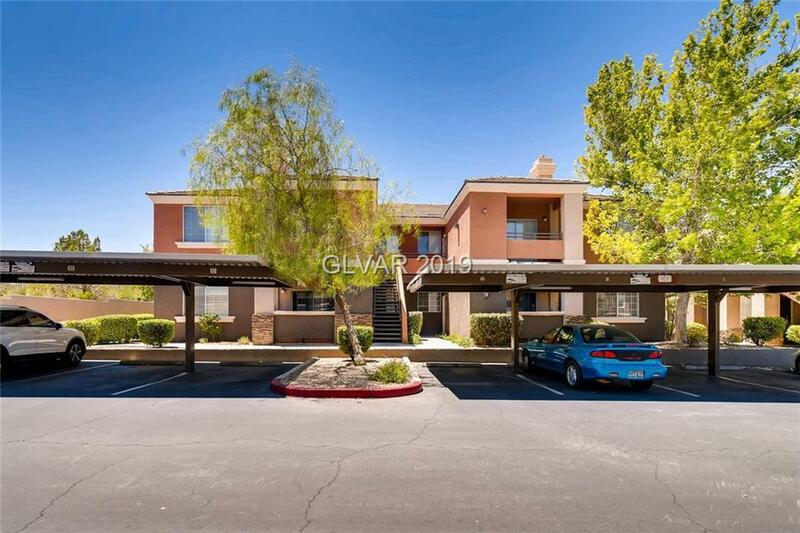 Surrounded by lush landscaping, this 1st floor corner unit in move in ready and loaded with custom features! Slab granite counter tops, beautiful cabinets, upgraded tile and carpet, fireplace in spacious master suite and spa like master bath with dual sinks, walk-in closet, upgraded blinds, custom 2 tone paint, ceiling fans, covered patio, way too much to list! Directions: Summerlin Pkwy W, Exit Buffalo Go R. Make A L On Vegas Drive, L On Alps. Go Through Gate And Go R And Follow Around The L. Unit Will Be All The Way Down On The Right.